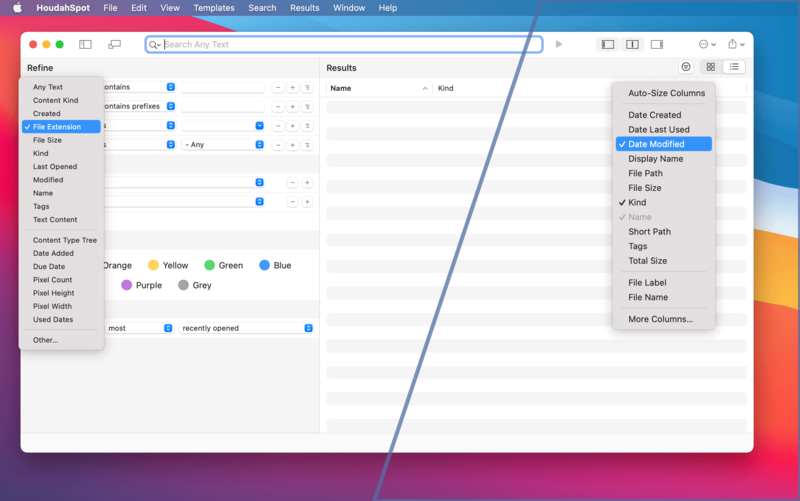 [prMac.com] Luxembourg, Luxembourg - Houdah Software today announces HoudahSpot 4.3, a major update to the versatile file search tool for Mac. HoudahSpot combines fast and precise file search with a flexible results display and previews to help finding the right document, email message, photo or video file. The purpose of HoudahSpot is to provide quick access to all kinds of files. It achieves this with searches that can be refined to return a manageable list of results. HoudahSpot shows search results in an interface that keeps relevant details within reach. Combined with previews of file content and text matches, this make it easy to comb through search results and assess relevance of the found files. File search also needs to be fast. HoudahSpot gets results in no time by searching the existing Spotlight index. Today's update manages to squeeze out an extra ounce of speed. Long lists of results load even faster. Scrolling is smoother. Search results and file properties are updated promptly when files are modified by external applications. HoudahSpot is a productivity tool that takes center stage of many workflows. Full text search and preview of text matches help sift through reference materials. Precise search criteria can be used to hunt down an elusive document. Customizable results display make HoudahSpot equally adept at presenting mail messages, documents, or media files. Search templates provide starting points for specialized searches. E.g. a search for video files. * Find files by name, text, content kind, author, recipient, image dimensions, bit rate, etc. * Fully customizable: default search form, file list columns, search locations, etc. * "If there is one utility that is indispensable for me on the Mac, HoudahSpot is it." * "There's nothing else like it [HoudahSpot] for Mac users by a long margin." * "I found its power to be unparalleled. Simply put, it finds everything, and it does so remarkably quickly." * "For me a true killer app since years - helped me so often finding long missed info fast and easy..."
* "This is Spotlight done right. ... It makes searching the abysses of my file system a joy." * "With all of Apple's changes to Spotlight, HoudahSpot is more valuable than ever." * "A smarter, better, faster way to find files. Finder works for easy things - HoudahSpot does the heavy lifting." HoudahSpot 4.3 is priced at $29 for a single-user license. A full-featured trial version is available. Licenses can be purchased from the Houdah Software store. Upgrade from previous versions start at $17. Upgrades are available through in-app purchases. HoudahSpot licenses purchased on or after November 1, 2014 remain valid for HoudahSpot 4. Prices are in USD and exclusive of tax. Founded in 2005 by Pierre Bernard, Houdah Software s.a r.l is a small company based in Luxembourg, Europe. Houdah Software specializes in quality software for Mac, iPhone and Apple iPad. Our mission is to pair quality products with excellent customer support. All material and software copyright (C) 2005-2017 Houdah Software s.a r.l. All rights reserved. Apple, the Apple logo, Macintosh, Mac, macOS, OS X, iPhone, iPod and iPad are registered trademarks of Apple Inc. in the U.S. and/or other countries. Other trademarks and registered trademarks may be the property of their respective owners.